Air cushion against pressure ulcers. Air cushion against pressure ulcers. The height of the air cells is 5 cm and the weight is 2 Kgr. It is equipped with 4 valves – one for each quadrant, offering the possibility of inserting different portion of air on each quadrant. Suitable in cases that a special position of the pelvis or the thighs is required. Keeping the ISOFLAP valve open, the cushion can be used as a pillow using one air valve. 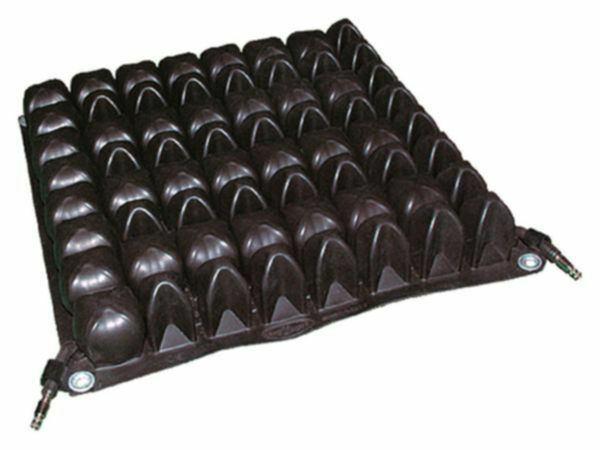 Matresses and pillows made of elastic cells that are connected and filled with air.When the patient is placed on it, an equable pressure is exercised (even to the difficult areas), similar to the one that the body accepts when it is floating. The cells’ height is 5 to 10 cm and the air that floats at the intermediate space, acts therapeutically. The Atlas system, ensures the optimum blood perfusion of the whole body surface as well as its ventilation . It is the only system that prevents decubitus conditions and heel them as well.